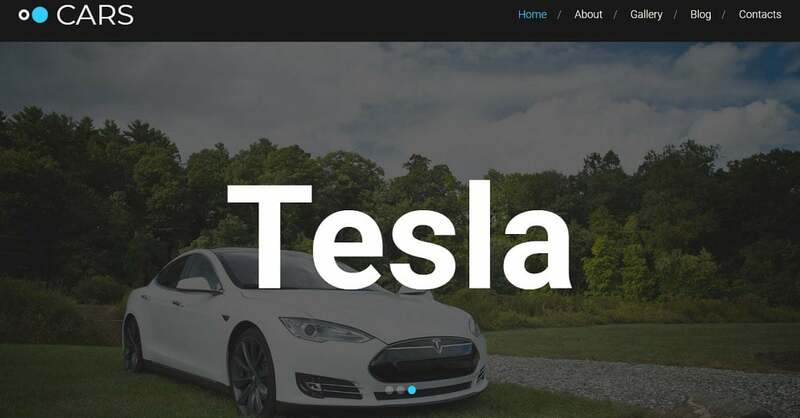 Are you going to create a car website and searching for the best car website templates? It’s not surprising. The competition in the car business is really tough nowadays. So, it’s quite obvious that you just can’t get to the top without an online presence. 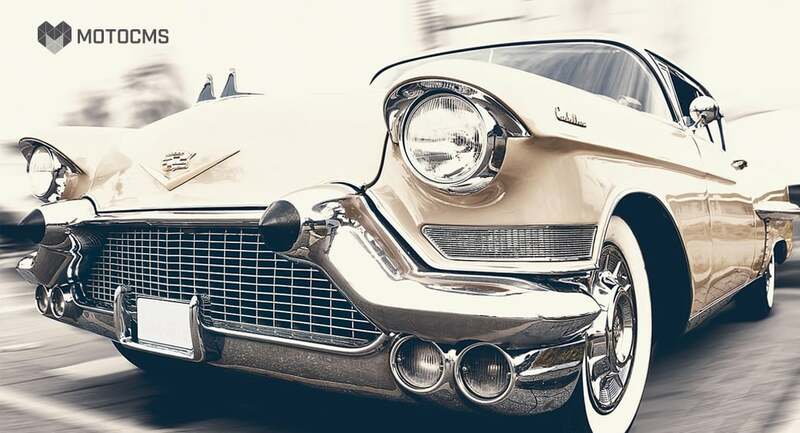 Since you are in a car business, let’s think of your website as a vehicle. The more powerful it is the sooner it takes you to the final goal – loyal customers and high sales. 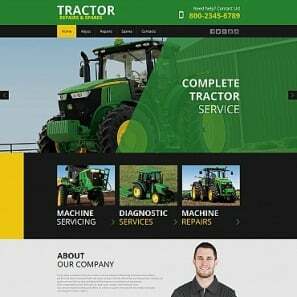 As any good vehicle, your future website should be convenient, easy to use, quick, and attractive. 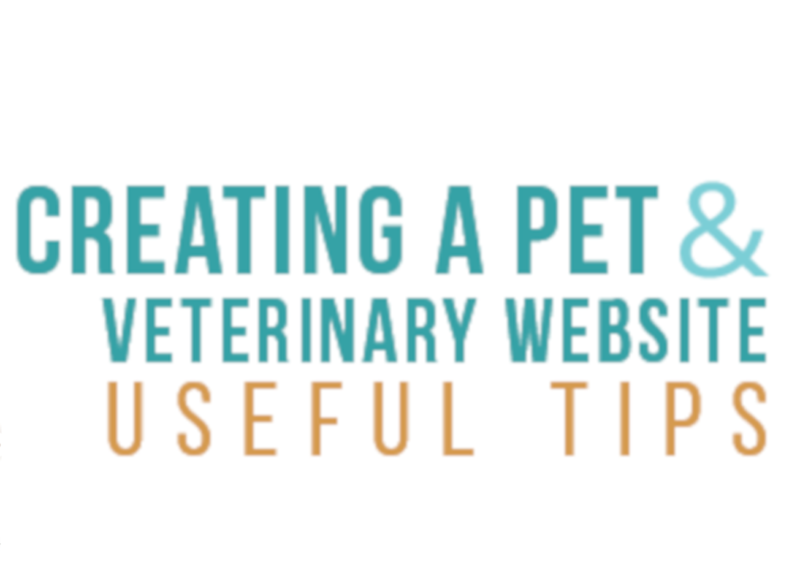 As soon as your website suits all these requirements, you’re on halfway to the success. Whatever car website you’re planning to create the primary thing you need is, undoubtedly, to choose a car website template. It goes without saying that a proper template is one of the pillars of your future website success. 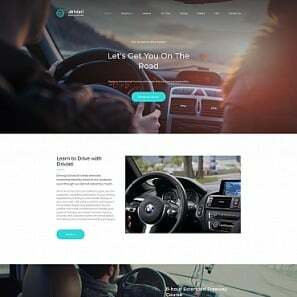 That’s why we decided to offer you a collection of top cars website templates for any purpose and taste. VIP Cars is definitely among the greatest car website templates for the companies that help customers find new cars. The entire design of the template is customer-centered. To begin with, the homepage slider immediately grabs the attention of your online audience. Next, simple navigation lets them easily find any section they need. Finally, the fast loading speed of the pages guarantees your visitors’ best user experience. Does your company provide auto repair services? 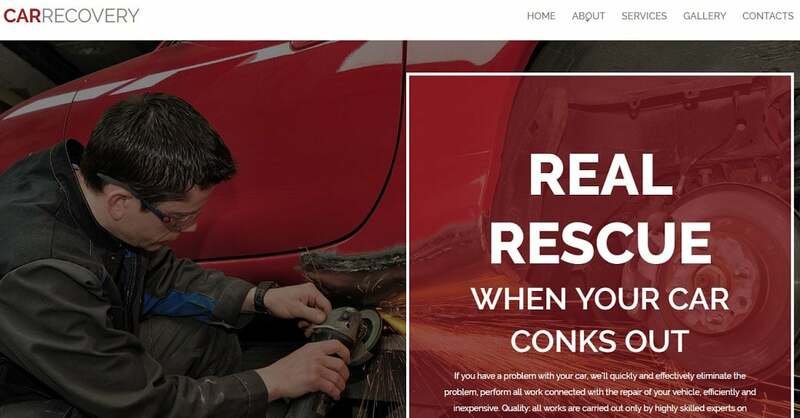 Then take time to carefully examine this car website template. In fact, it’s almost a ready website waiting for someone to place it on the web. The template comes out with each and every page you may need for effective online presence. 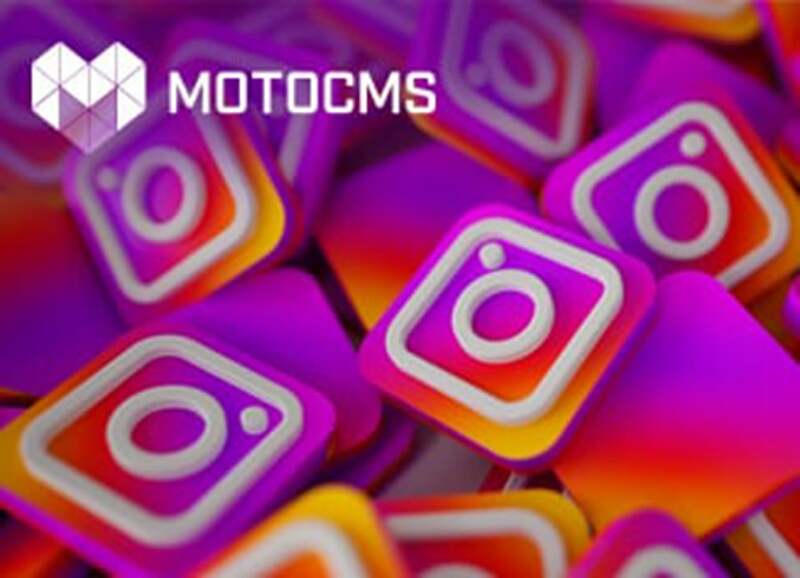 Consequently, it won’t take you long to customize it according to your requirements thanks to the MotoCMS car dealer website builder. 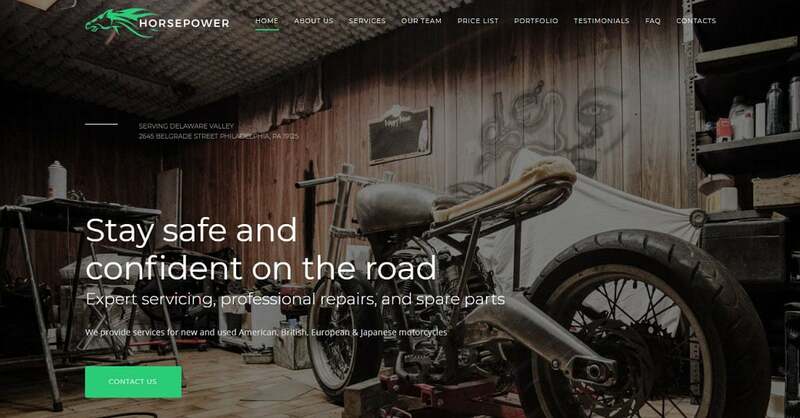 Horsepower is a fully responsive template with a gorgeous design and user-friendly navigation. So, it’s not surprising that it occupies one of the leading positions among car website templates. A zillion of ready-made content blocks of the drag-and-drop website creator enables you to assemble a stunning website. What’s more, a wide range of handy widgets makes it possible to add any functionality you may ever think up. 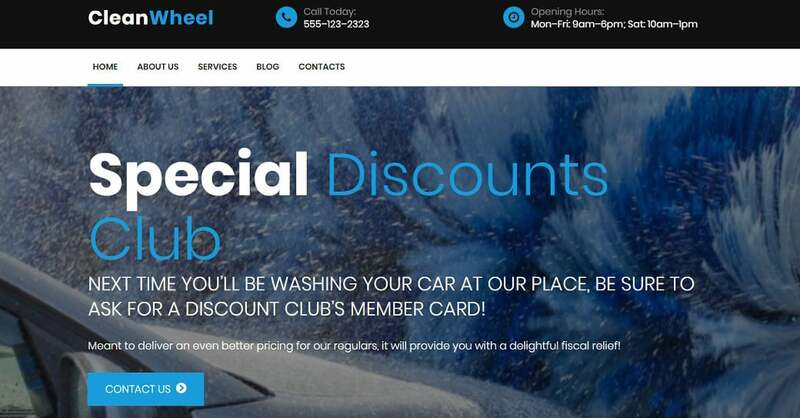 If you offer the car wash services Auto Clean website template is worth your careful attention. Its blue-and-white eye-catching design deeply associates with cleanliness and freshness. That’s why your prospects won’t have a single chance to pass by your future website. Besides, thanks to the Google Maps widget they will be able to find your business with ease in real life. Clean Wheel is one more template that is able to arouse strong interest among the car wash owners. Firstly, the template allows you to create a wonderful website in less than 3 days. Secondly, you will quickly find new clients via social media due to the social media widget. Thirdly, thanks to the SEO-integration your prospective visitors will come across your website every time their cars need washing. 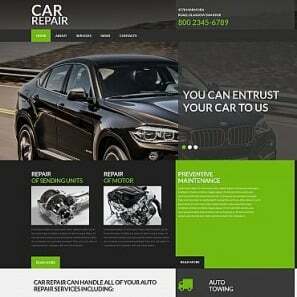 Of course, car website templates are not all about selling and repairing cars. There’s no doubt that car insurance is the thing every driver needs not less than wheels or tires. 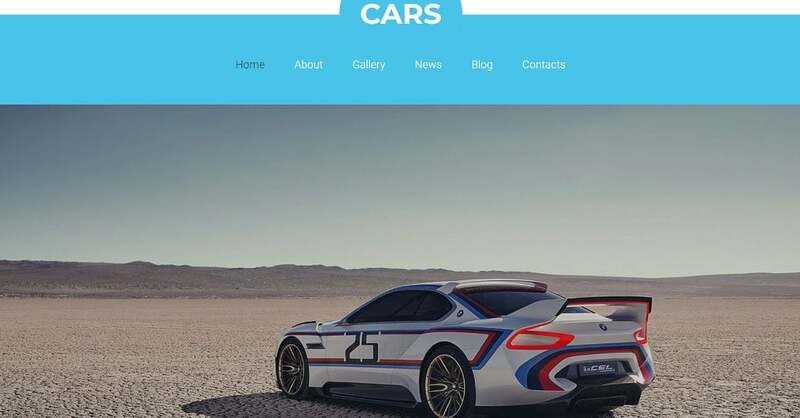 Since your mission is really important, we included in our collection one of best car website templates especially for you. Hope, you’ll enjoy its superb functionality combined with far-lightning speed. 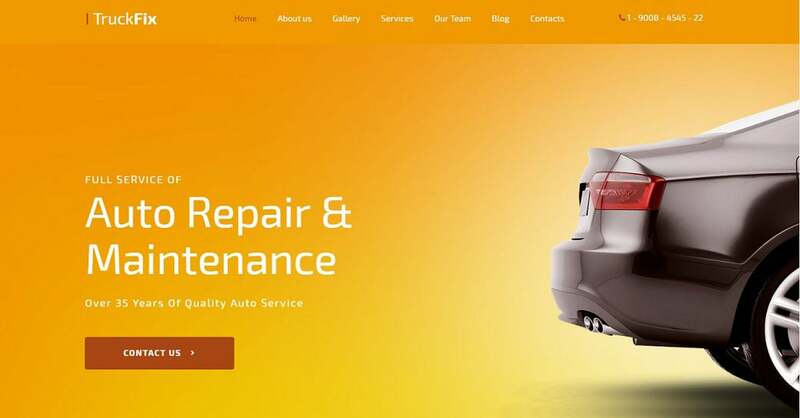 TruckFix Car Repair premium design template is a real bargain for auto repair companies. To tell the truth, you’ll have to make the minimum effort to launch an amazing car website. You don’t need any tech skills to fill your website with the necessary content using a handy website creator. Moreover, together with the template, you acquire 24/7 free professional tech support. 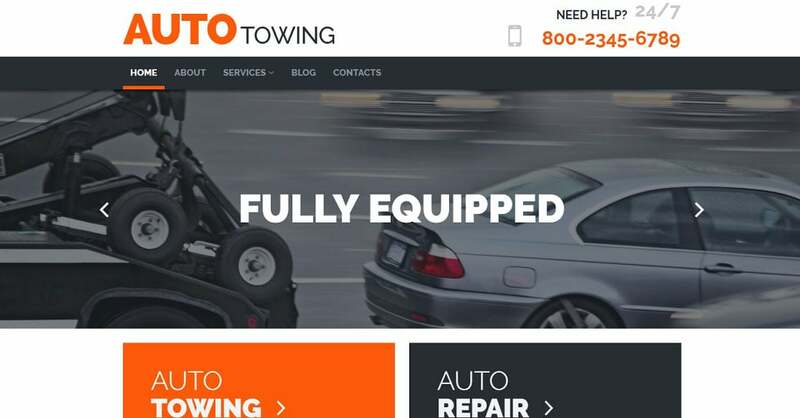 This responsive car website template will perfectly suit any auto towing company. Thanks to the numerous pre-made pages you’ll build your website in no time. Slider and Audio player widgets will help enliven your website pages. Furthermore, you’ll be able to regularly update your website with newly released features, widgets, and functionality via a single click. 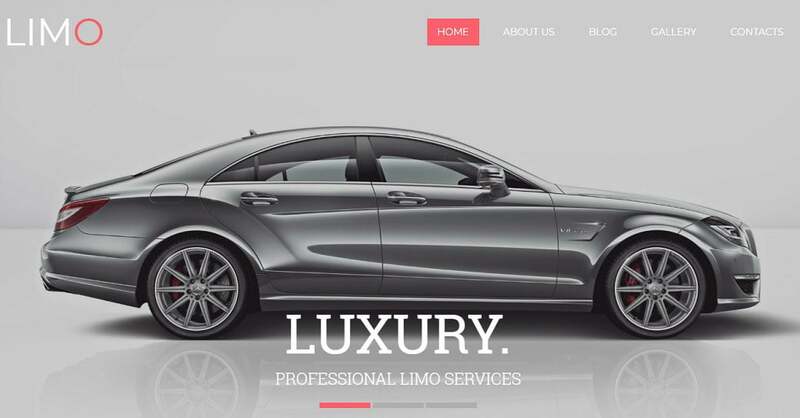 If your company provides transportation services you may like this car website theme. On the one hand, the template design is clean and simple. On the other hand, it’s definitely memorable and evokes trust. 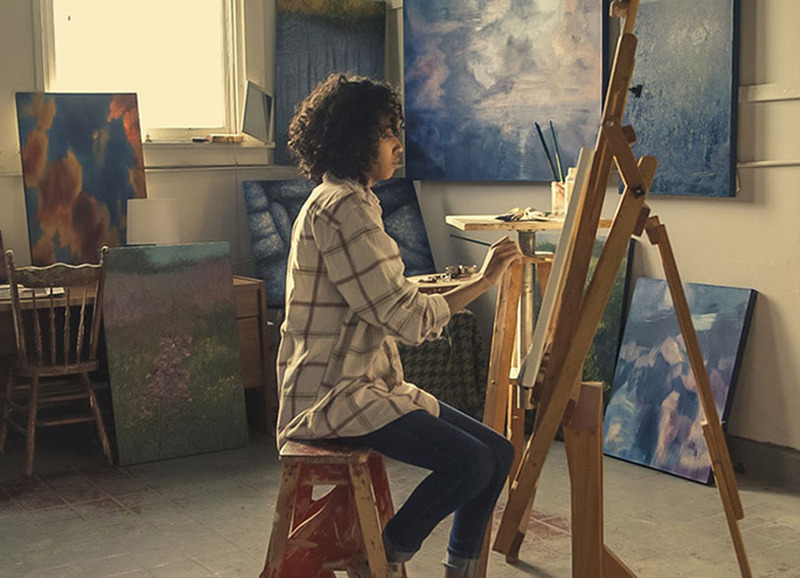 The smart use of gallery and slider widgets makes it possible to showcase your services in the best possible light. By the way, you can find out how to make a rent car website in one of our articles. 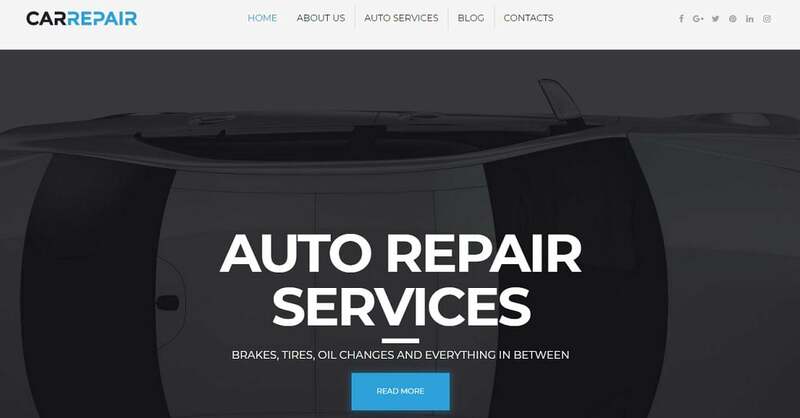 This amazing website theme is a chance to take your car business to the next level. Although the template comes out with pre-made original pages, you’re always free to customize each and every detail. A handy built-in drag-and-drop editor allows you to create new sections and content elements. Besides, it enables you to manage widgets and adjust settings. 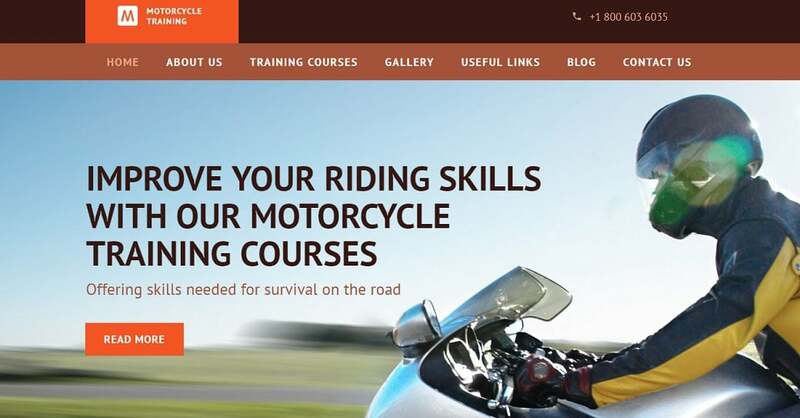 Do you own a driving school? 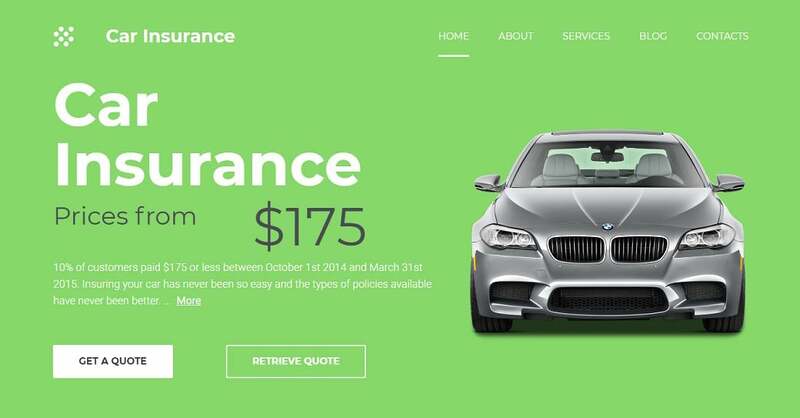 Then have a patient look at this car website theme. The homepage hero image creates the atmosphere of motion and freedom thus fully capturing the attention of your online audience. The blog functionality helps keep your clients well-informed. Besides, the Contact Form lets your online visitors get in touch with you at any moment. 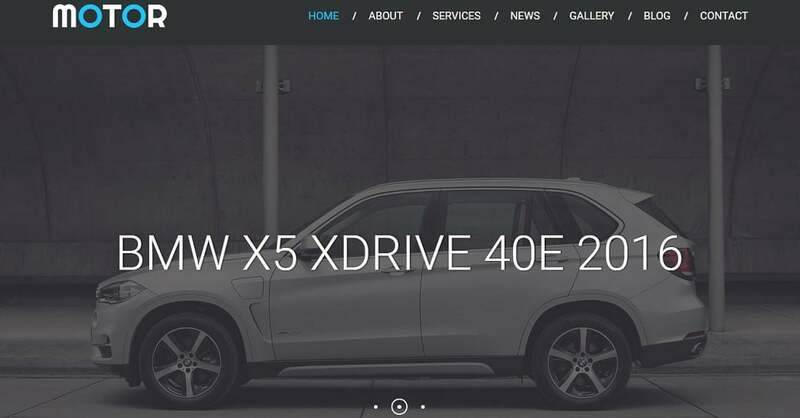 This car website template is a perfect choice for auto dealers to promote their business on the web. 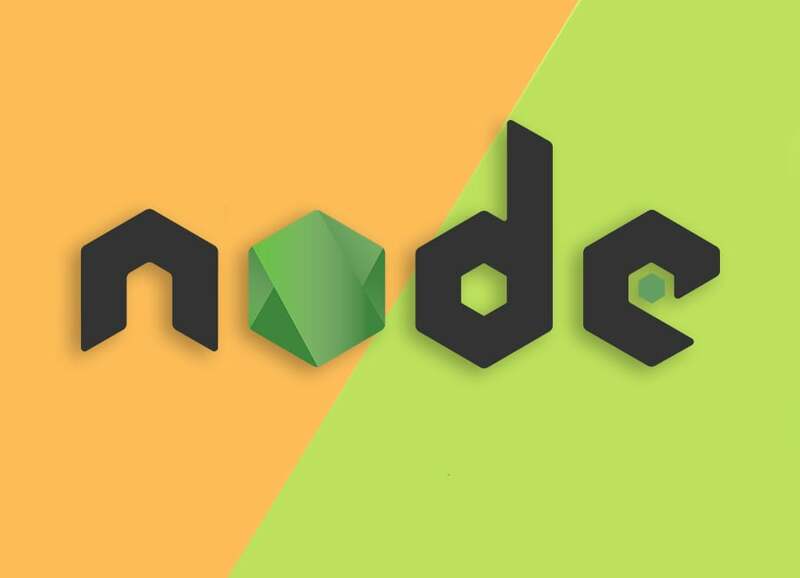 Using this template you’ll be able to make an astonishing website by yourself without knowing a line of code. The only thing you should do is just follow the instructions within a user-friendly admin panel. Besides, your future website will be as fast as the most powerful vehicle and work without delays. Here is one more responsive car website template for auto dealers to be aware of. The template allows even a novice feel a pro in website building. Install the template and customize the design using a wide range of tools the built-in admin panel provides. Add your content and that’s it. You get a responsive cross-browser compatible website ready to be launched. 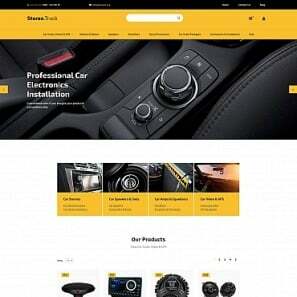 Undoubtedly, our collection would be incomplete without car website templates for online stores. Motor Wheels & Tires is one of this kind. The best thing about the template is that you don’t need to purchase any additional software. In other words, the template already possesses all the features necessary for your business flourishing. You will easily add new products, delete the old ones and apply discounts or promo codes in no time. Frankly speaking, the online store functionality of this template will help you find buyers in no time. Firstly, the template enables you to sort all your goods in any way you wish. Secondly, it lets you specify custom properties and values of your products. Thirdly, it allows you to choose the currency and include different taxes types into the final price of any product. So, don’t waste your time and try one of our amazing car website templates right now. 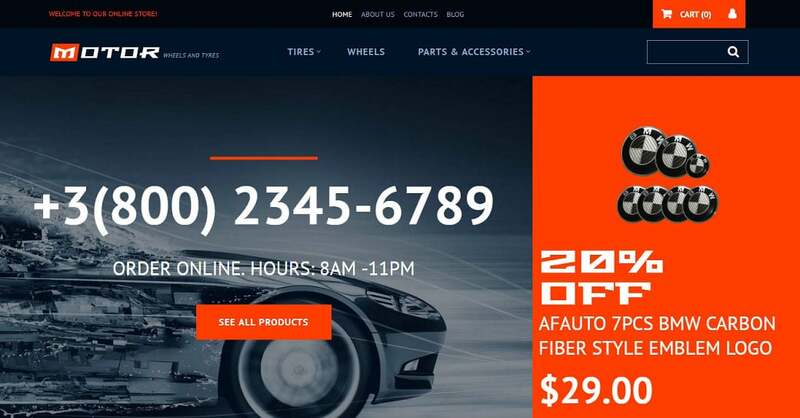 Provide your future car website with enough horsepower to bring your business to the next level.